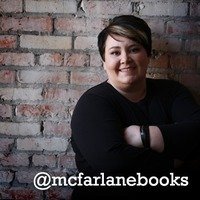 The Best Books Ever: There Once Were Stars by Melanie McFarlane ~ Tour Review and Giveaway by Jaime! 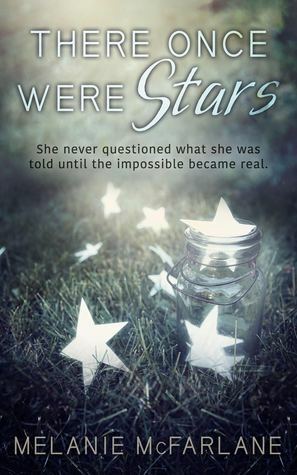 There Once Were Stars by Melanie McFarlane ~ Tour Review and Giveaway by Jaime! Initially, what attracted me to this one was the cover. It is just beautiful! And the story sounded pretty good, if I do say so. Turns out, it is close to as good as it sounds! I love the setting of the story, first off. I love the idea (in a book, not real life) of a world built inside of a dome. I can sit and think about all of the many details of said dome, and how it functions for a while. It is such an intriguing, if not completely new, idea. Nat, the MC, is a scientist. I love that the author created a smart, brave female character. But I must admit that Nat kinda drove me crazy sometimes. I mean, I get it. I do. I can't imagine losing my parents, living with a grandmother like Nat's and living your life in a dome (COOL DOME). Thankfully as the story progressed, she became an awesome character. There is a love triangle in this one, and it wasn't the best I have read, creatively speaking. The romance was never my main focus though, so this didn't bother me too badly. There Once Were Stars was a really good dystopian. Not perfect, but I enjoyed it from beginning to end. That is saying something, because it has been a long time since dystopians and myself have gotten along. The ending of this one will have you on the edge of your seat, and leave you sitting wherever you are, feeling satisfied. Melanie McFarlane has a knack, and I can't wait to experience it again!